A spectrometer with increased optical throughput and/or spectral resolution includes a plurality of interferometers coupled in parallel. An optical splitter divides a source light beam into a plurality of input beams and directs each of the input beams to a respective one of the plurality of interferometers. One or more detectors are optically coupled to receive a respective output from each of the plurality of interferometers and is configured to detect an interferogram produced as a result of the outputs. Aspects of the present disclosure relate in general to optical spectrometers, and in particular to Fourier Transform Infrared (FTIR) micro spectrometers. Various aspects of the present disclosure provide a spectrometer with increased optical throughput and spectral resolution. 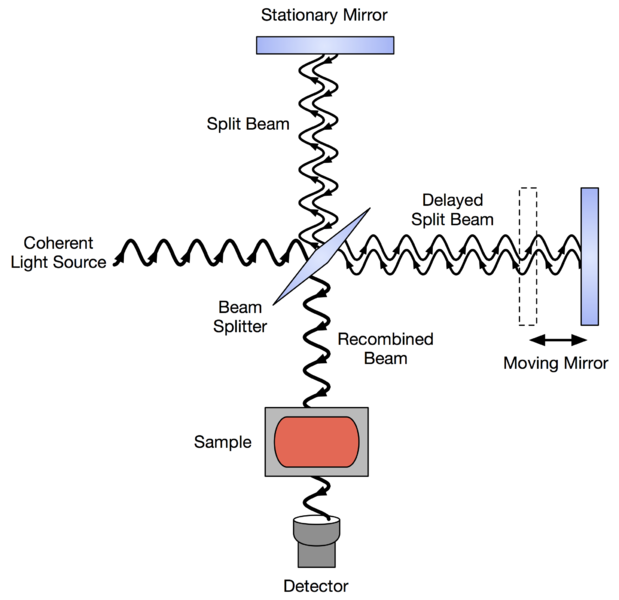 The spectrometer includes a plurality of interferometers coupled in parallel and an optical splitter configured to divide a source light beam into a plurality of input beams and to direct each of the input beams to a respective one of the plurality of interferometers. One or more detectors are optically coupled to receive a respective output from each of the plurality of interferometers and is configured to detect an interferogram produced as a result of the outputs.